To obtain Natural younger Healthy skin only by using the hair fine needles without a surgery or pain! 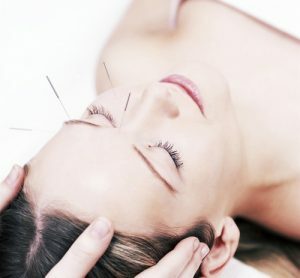 Acupuncture treatments involve using the finest needles to stimulate the meridian in order to increase the blood circulation, to relax or tighten the facial muscles, and to enhance collagen production & tone for a vital and youthful facial appearance. Facial Acupuncture is very popular in Korea. It is based on Eastern Acupuncture and mixed with modern medical expertise to provide facial rejuvenation. Facial Acupuncture is quickly becoming a lot more popular than plastic surgeries or botox. Facial Acupuncture is extremely effective in facial-lifting: inner wrinkle, forehead wrinkle, wrinkles on the eyes, nose, and around the lips. The acupuncture also helps blood circulation on face, which means it helps anti-aging on your face. “To obtain natural younger & health skin only by using the hair fine needles without a surgery or pain! Free radicals are destructive molecules. They destroy the integrity of other molecules. They first attack and destroy the walls of your skin cells. So if you imagine your cells as being like a water balloon. Free radicals are like a knife that pokes holes into it. The balloon will then leak like a sieve and your cells become dehydrated. They become deflated and dehydrated, because all the vital fluid and nutrients have leaked out. This happens because the acupuncture stimulates the nervous, hormonal and circulatory systems to boost collagen and elastin production.